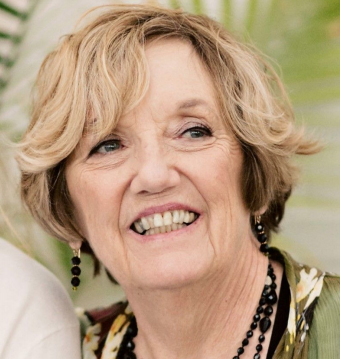 Patricia Peters Hundhausen (1941 - 2018) - With family and friends by her side, Patricia Moore Peters Hundhausen passed away peacefully on December 1, 2018. She is survived by her husband, David; three children—Ellen (Robert Triebold) , Anne Catherine (Tim Shamey) and Christopher (Angela Taylor); three grandchildren—Kyra, Kelsey and Lily; and other relatives and countless friends. Although she is gone, Pat’s legacy of creating loving communities of people endures. Born in Rochester, New York, on January 11, 1941 to Rachel Moore Cushman Peters and Stanley Bruce Peters, Pat grew up in Kent, Ohio and graduated from Kent State University High School in 1959. She completed a B.S. in speech and English education at the University of Wisconsin, Madison in 1964. She met David in 1965, when she appeared in several plays he directed at the University of Wisconsin Manitowoc Center. Having discovered more than an artistic match in each other, they married in 1966. Pat started as an English teacher at Central Middle School in Waukesha, Wisconsin. In 1969, David and Pat moved to Madison for David’s graduate studies. In 1971, they moved back to Waukesha. To combat chronic fatigue syndrome, Pat learned transcendental meditation, which she faithfully practiced until her death. Motivated to serve others, she became a special education teacher at Summit House, a residential treatment center for emotionally-disturbed children in Oconomowoc, Wisconsin. special education graduate students. She then served as the principal of St. Aemilian’s Residential Treatment Center for Adolescent Boys in Milwaukee. In 1986, Pat returned to the Waukesha Public Schools as a special education teacher until her retirement in 1996. Pat and David were life partners and best friends. After retirement, they traveled extensively, touring and meeting people on 6 continents and 20 countries. Anyone who knew Pat will attest to her eye for capturing the people, places and moments of her travel in photographs. She often used her photos to stitch together descriptive narratives that brought others with her on her journeys. In 2006, Pat and David moved to Port Townsend. There, they found a community of like-minded people in the Quimper Unitarian Universalist Fellowship (QUUF), many of whose members were aging. This got Pat thinking about how she could spend her final years living in an old-fashioned neighborhood rather than a retirement home. 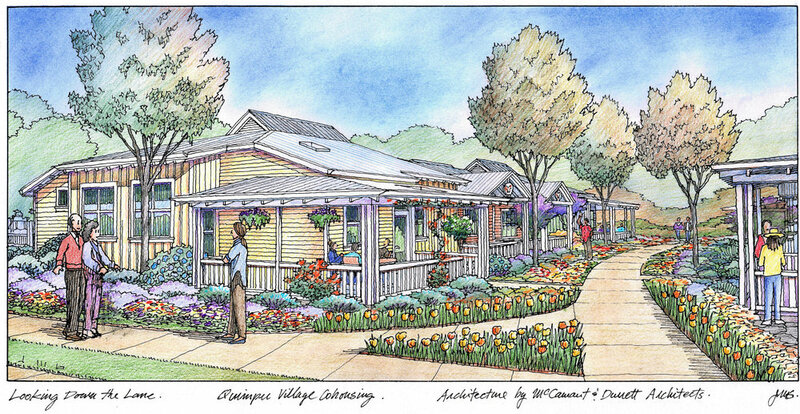 She envisioned building a community where people could age in place with the love and support of their neighbors. 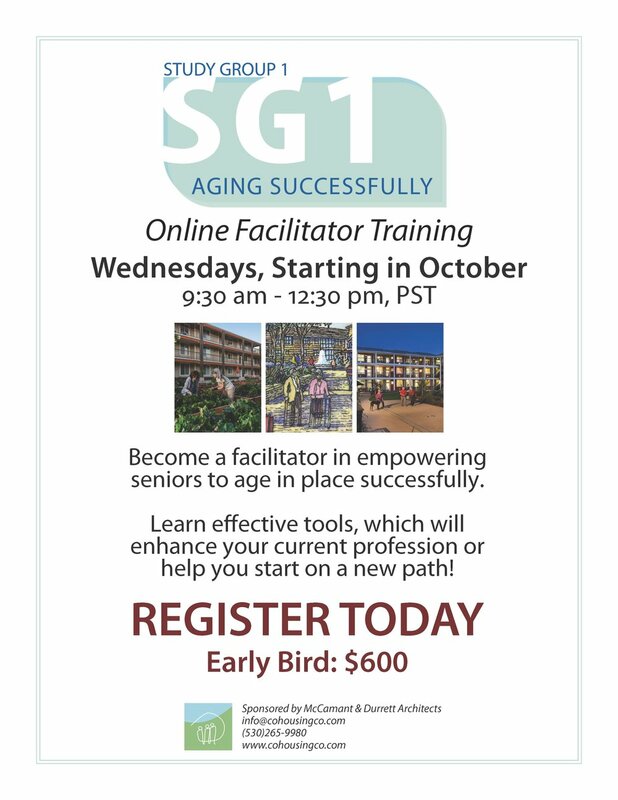 Drawn to a Danish co-housing model, Pat and David led a presentation at QUUF and Pat facilitated a course called “Aging Successfully.” Ultimately, Pat’s vision culminated in Quimper Village, a 28-unit, 42-person $10.2 million senior co-housing community that opened in November, 2017. 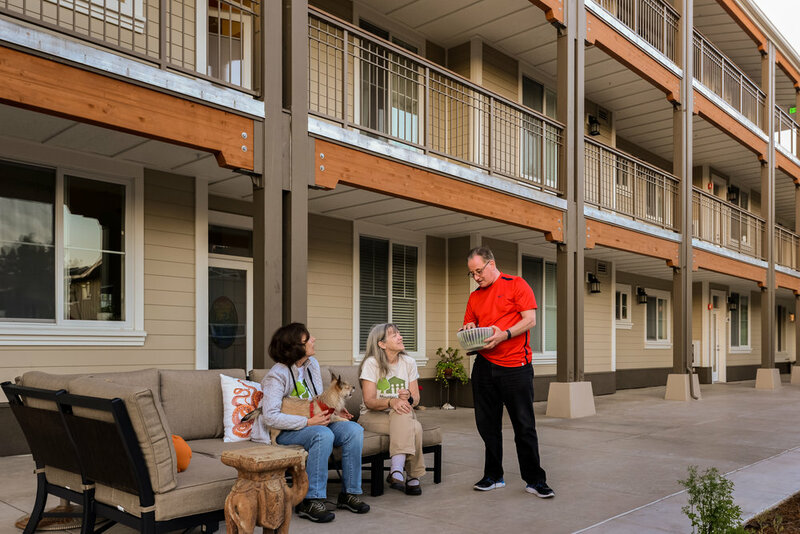 It is the first senior co-housing development in Washington State and has since become a national model. Pat touched the lives of her family, colleagues and friends. Those who knew her best fondly remember her as having endless curiosity, an artistic sensibility, a sharp wit, empathic listening skills and a passion for peace-keeping and helping others. Aside from her family, Pat leaves behind circles of close-knit friends from Wisconsin, QUUF, and Quimper Village who will dearly miss her calming presence, wisdom and friendship. Pat’s memorial service will be held at 2 p.m. on Saturday, January 26, 2019 at Quimper United Universalist Fellowship, 2333 San Juan Avenue, Port Townsend, WA 98368. In lieu of flowers, contributions can be sent in Pat’s memory to establish a memorial grove of birch trees to honor deceased members of Quimper Village. 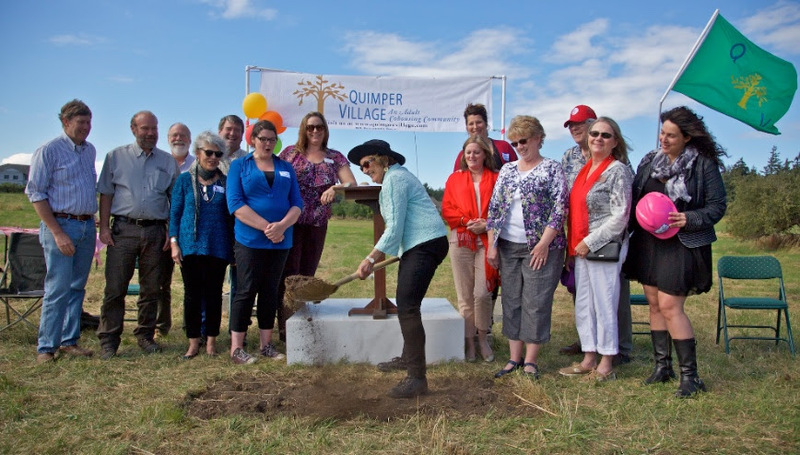 Please send contributions, payable to “Quimper Village,” to Quimper Village, 3105 Sage Lane, Port Townsend, WA 98368. 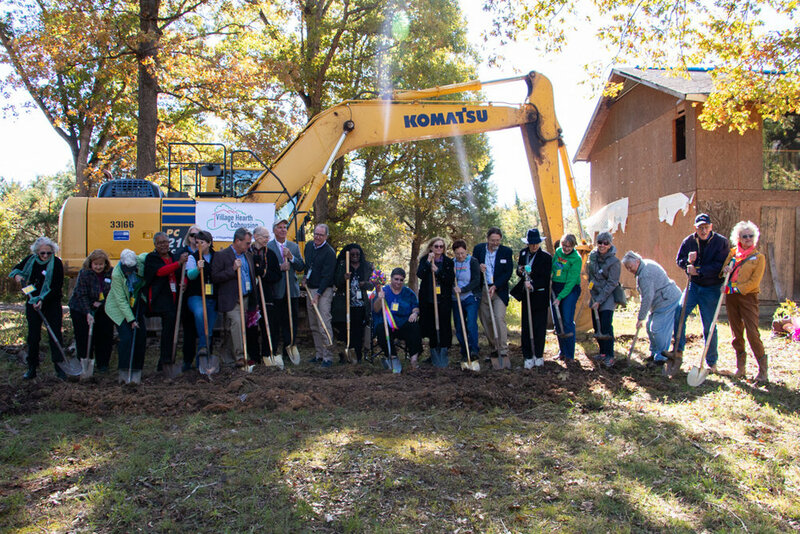 On Monday, October 29, 2018, Village Hearth Cohousing made monumental progress for the future of older adults in the LGBT community. 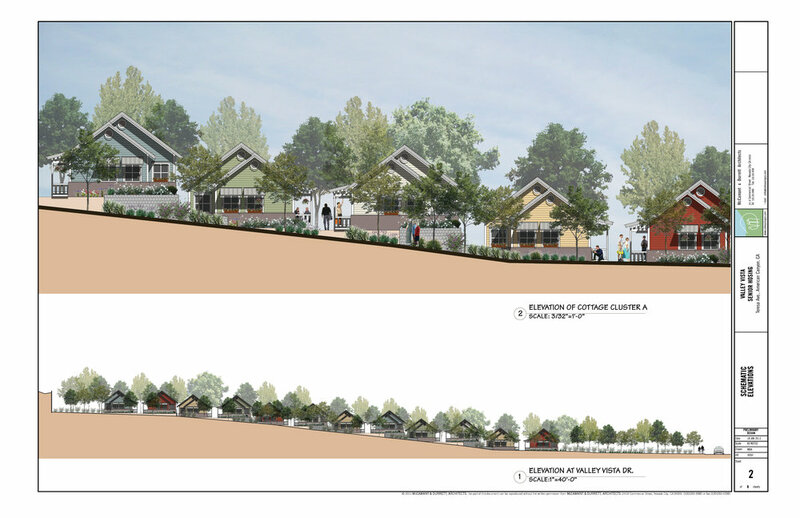 They broke ground on their cohousing project, which means more than simply building a house. 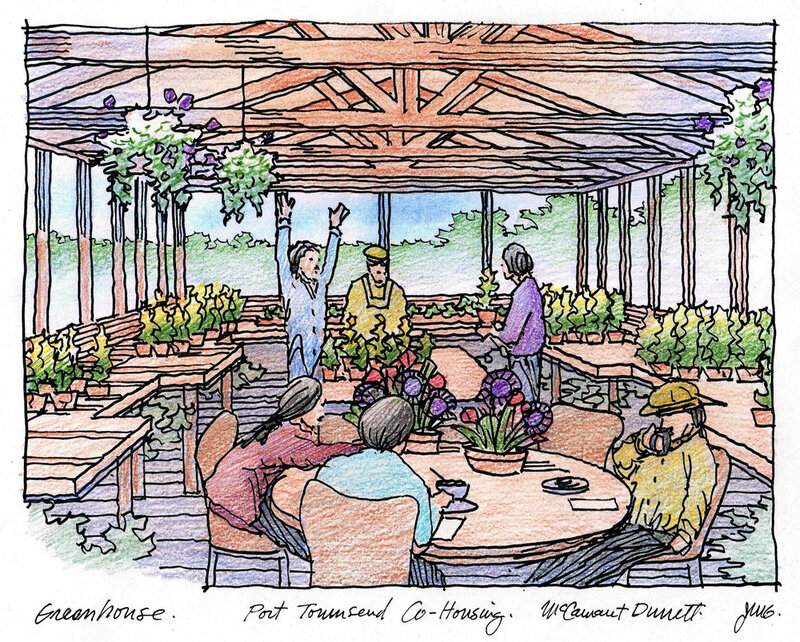 When built Village Hearth Cohousing will signify the success of a group of people who, together, designed the neighborhood of their dreams, one that is supportive and fun, where they know and trust each other. A community where they can be themselves. In celebration of the event, Charles Durrett, Principal Architect of McCamant & Durrett Architects had some words to say. 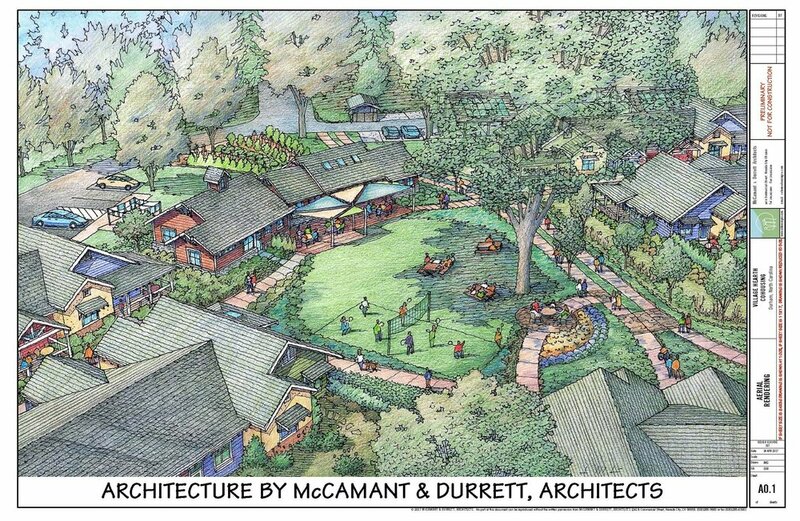 McCamant & Durrett Architects was the architecture firm hired by Village Hearth Cohousing. “On this occasion, one can be encouraged by the trajectory cast. That is especially true when those that you have learned to appreciate and to work with have set their sights on goals and are steadily making deliberate progress in that direction. In the case of Village Hearth, it seems that the only way that one can possibly predict the future is to in fact create it. “Village Heath is well on its way. As the architect whose job it was to synthesize the needs, wants and desires of this group of discerning and capable co-creators, I’m happy to see each step move forward on the path to fruition. And I’m proud to be a part of it.” - Charles Durrett. 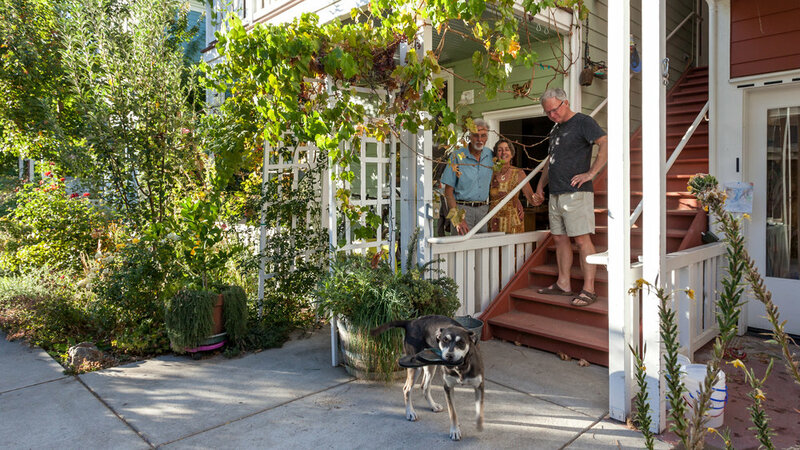 Thirty years ago last month the book, Cohousing: A Contemporary Approach to Housing Ourselves, that introduced cohousing (and the word cohousing) to the US and the English speaking languages arrived at our doorstep in Berkeley California. An 18-wheeler from the printers in Tennessee negotiated our not-so-big residential street and un loaded 3,200 hundred brand new shiny blue, full-color books. Jim, the driver, his wife and trucking partner, and their ten-year-old “home schooled” daughter helped us unload the boxes of twenty books each and put them into our basement. Self-taught, (including Danish and writing), Self-published, self-designed, and now self-distributed. We had loans to payback, so we packaged them out at night after work. Seventy-six copies one night, went into our home-made packaging using scrolls of paper from various cohousing workshops that we had already begun having. Seventy-six copies to be shipped out the next day. Luckily word had already got out. People wanted the book, from Little Rock, Arkansas to Boston to Alaska to the far corners of everywhere. It took so long to do that first book. 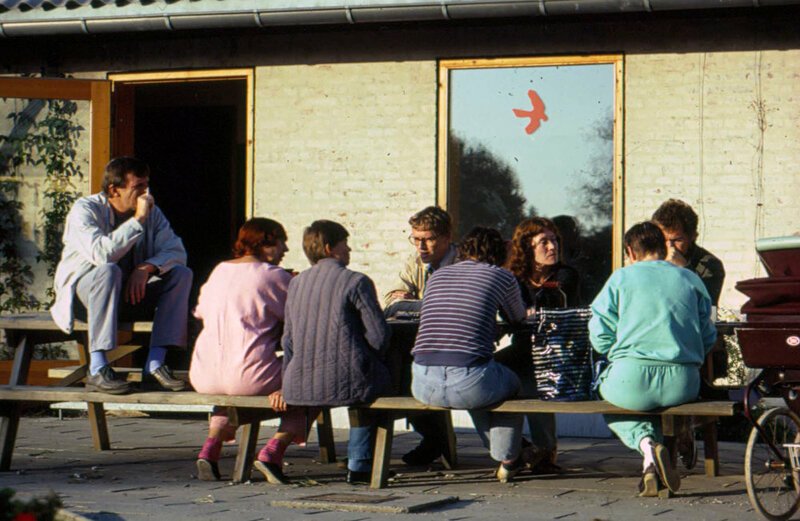 Kate and I were introduced to cohousing in the fall of 1980 while attending the University of Copenhagen. Went back in 84/85 to write the manuscript (by hand), and then wrote and wrote, and wrote until it went to the printers in the early spring of 1988. Katie went back to Tennessee that spring to check the printing proofs — that’s how hands on this book was. Then in August we went a green politics conference in the Sierras and noticed that one speaker after another was from Davis, California. So that following Monday, I jumped into our not-so-new Volvo and tooled the 70 miles to downtown Davis on that hot still August day. Stopped by a half dozen bookstores in that college town, all of them took the book on consignment or through the nation-wide book distributor that we had luckily negotiated to also distribute the books when bookstores called to order it. The kids of Muir Commons today. I went right over to the Village Homes Community Center and rented that out for a September Public Presentation. Then with flyers on every bulletin board in town, and flyers planted in the books in the various bookstores we started to get some real traction. 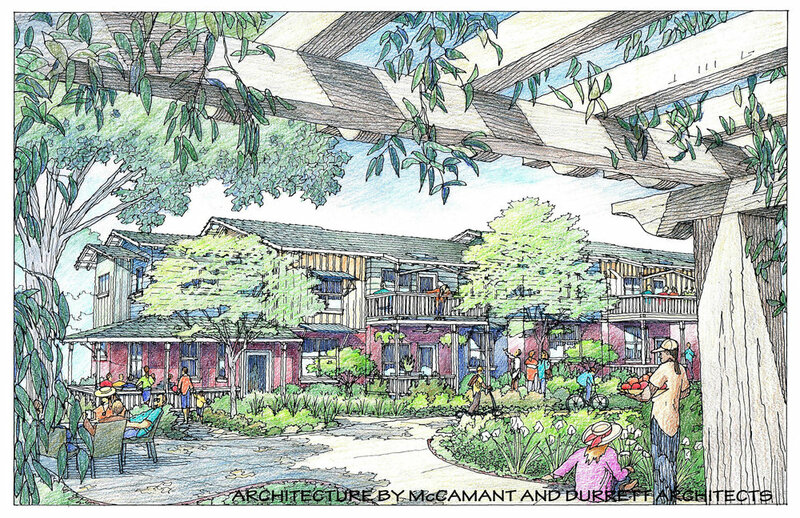 No one had heard the word “cohousing” yet, so it was an uphill climb. Then we met a couple, Kevin and Linda Cloud, that were willing to help organize the upcoming public presentation, and to help get the word out locally. We got all of the free calendar listings that we could. A developer planning a new 200+ housing project was also in the room and she knew it. This just goes to show that to find the right partners, you need to get the word out there. But that’s a story for another article. We knew that the first community in the U.S. had to work well for this model to catch on. So after some finagling, we got ourselves positioned to be the architects to design the site plan, the common house and the houses with the entire group. That lovely community is Muir Commons and they moved in in the summer of 1991. Muir Commons received considerable press and we were off to the races in the U.S. 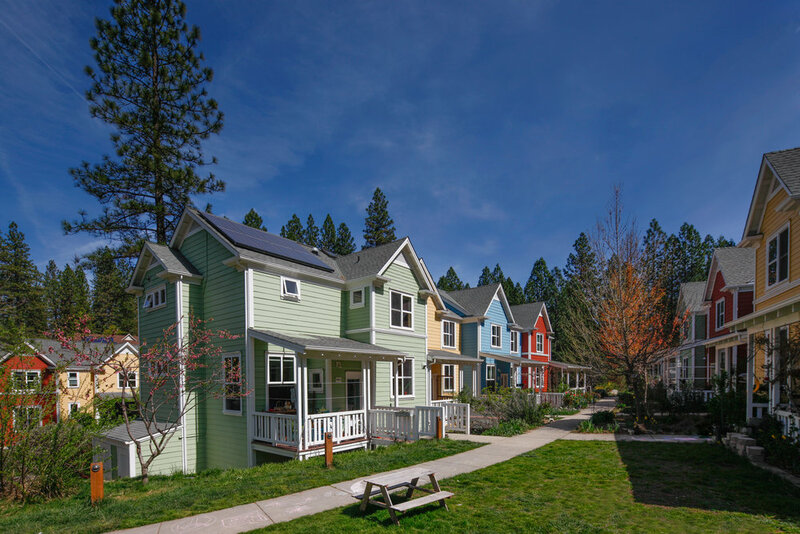 It was the first model cohousing project built in North America and it remains a model project today. 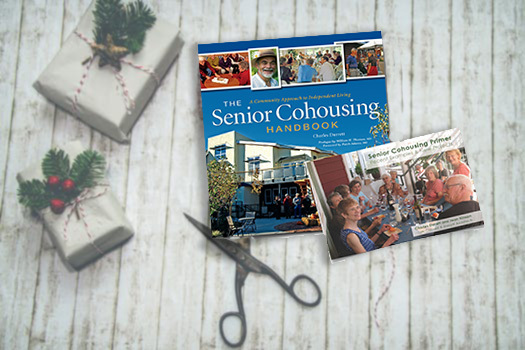 The availability of a comprehensive discussion, the book, model projects, millions of hours, and the covey of professionals who, with dedication and integrity, and non-profit organizations have impelled cohousing along. Now we have many more. 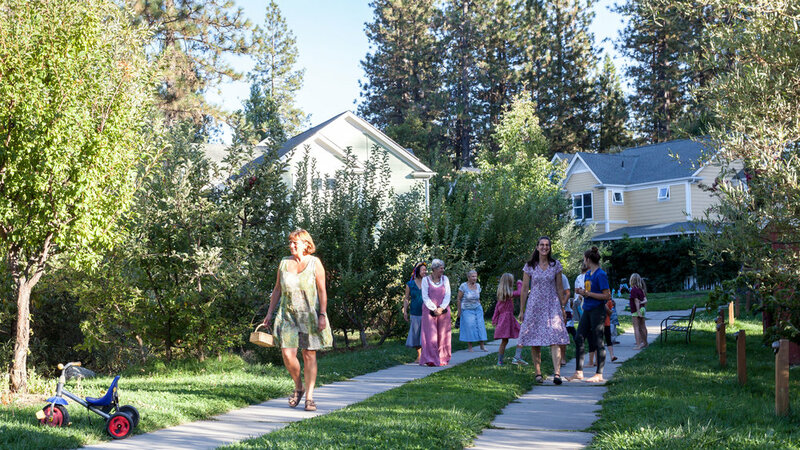 We are well on our way to 200 cohousing communities in North America and well on our way to making cohousing a known option for housing, communities, and neighborhoods, exemplifying how neighbors can relate to each other and cooperate with and support each other in America. Anyway, at 55 more projects, hopefully model communities and many more by others, the rest is history. But in this case this history of cohousing in North America is just the beginning. The book has been revised and is now called, Creating Cohousing: Building Sustainable Communities, and can be purchased through our website. I know for a fact that if you have to have air conditioning, you have to have it—it’s a cultural thing. It’s our habit or as cultural anthropologist Robert Bellah puts it, it’s a “Habit of the Heart”, and if your house is designed poorly, it’s physiological. So, I’m not going to try to talk anyone out of air conditioning, we’ll do air conditioning if the group wants it—but I’m happy to report that most groups that don’t really need it have chosen to not have it installed and challenge us to accomplish cool houses through passive cooling (inherent in the building) which we embrace. A.C. contributes to climate change. In countries like Bangladesh (shown here) flash floods caused by climate change leave people displaced and without proper resources. Time magazine just reported that air conditioning has become the number one cause of global warming world-wide, greater than transportation, greater than house warming, greater than industry. Ironically, of the 2.8 billion people along the equator, those that need it the most, only 8% have air conditioning. The rest of us, in the U.S. and Japan, for example—about 90% have it. The good news is that cohousing groups get to create their own houses and therefore respond to their own priorities. That’s why those houses perform so well from a passive cooling point of view. We, for example, make sure to use enough mass so that if the night temperature gets down to 70 degrees Fahrenheit the house gets to 71 degrees Fahrenheit or 72 degrees Fahrenheit by morning and that the high temperatures of the day, even when it’s 100 degrees Fahrenheit outside the interior of the house doesn’t get above 76 degrees Fahrenheit in the late afternoon. Examples of passive cooling include sparse pavement/more lawn, shaded gathering nodes, shade trees, and porches with well-designed overhangs. All of these contribute to a more enjoyable experience in one's private home and the common space. 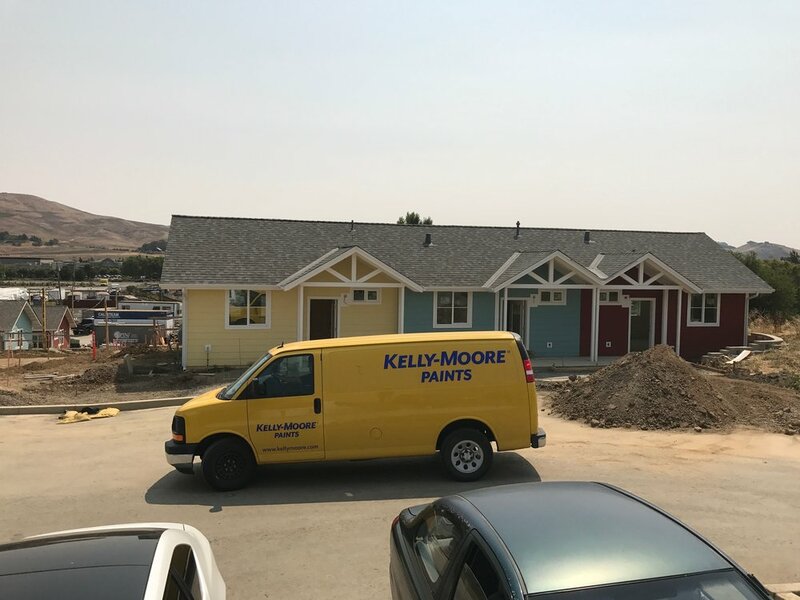 To give you some idea of how cultural it is, we rented a house while our current state-of-the-art, passively cooled cohousing was being built. We didn’t turn on the air conditioning until our daughters 15th birthday party on August 2nd. A dozen 14, 15, and 16-year old young ladies showed, so, we turned on the air conditioning. Jessie, our daughter, said “Hey, I didn’t know we had an air conditioner”, the air conditioner went on every day after that, although she never complained about the heat before. It’s so easy to flip a switch. Before that we’d sit on the front porch in the evening, and let the rocking motion create a breeze, or the porch ceiling fan cooled us, amongst other things like a glass of iced tea. I’ve yet to read an essay or any rationalization as to why it’s ok to cool our house to warm the planet. Invariably someone will invoke the plight of the Bangladesh people and them standing in waist-high water in the downtown streets after a routine storm. And, of course, the more the planet warms, the more that happens and the more we need A.C. And it’s not just Bangladesh, it could be Quebec, where more than 70 heat related deaths have occurred this summer. 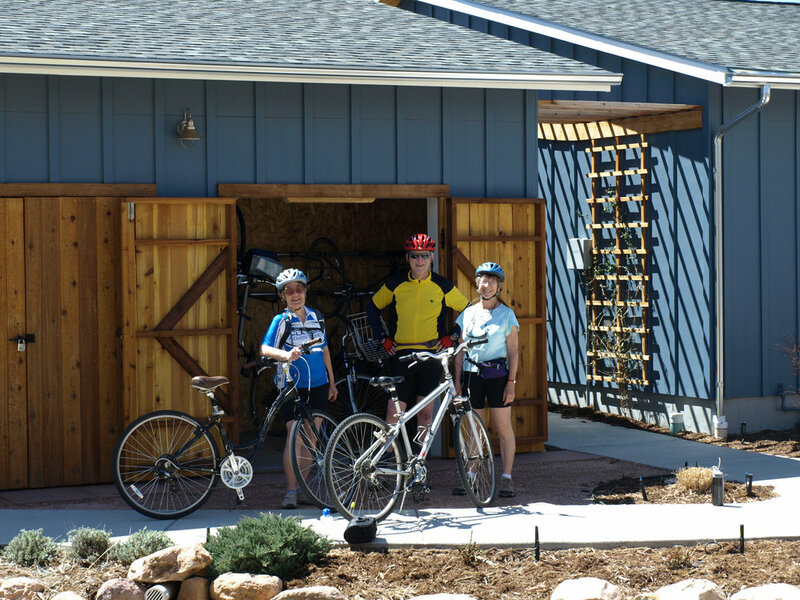 Our cohousing 34 houses were built with zero air conditioning (in a part of California where nothing is built without air conditioning). But it’s not just a conscious design decision it is a series of conscious life style issues. Passive cooling comes up at least once a week at common dinner in the summer. When do I close my windows? When do I close the shades? Which window shades? When do I turn on the whole house fan? For how long? When do I use the ceiling fan (whenever you’re in the room)? When do I turn it off (whenever you’re not in the room)? Yes, it’s a topic, an easy one, which gets you in touch with your neighbor and your climate. We do have air conditioning in the common house, and once (in 12 years) 21 folks spent the day there. This was the year that a heat wave killed 35 Californians (2/3 of whom had air conditioning but were too fried to turn it on). I know that it could possibly cramp your style to work and play in the common house for one day out of 12 years—but not if you can imagine what the rest of the world is giving up to make A.C. so convenient for us. I find that you can’t be righteous about this stuff, but that you don’t have to be. When you watch cohousing groups work this stuff out, you believe that they are willing to imagine that it can be worked out and that’s the beginning of getting the job done. Indirect lighting, efficient insulation, high ceilings, and an open floor plan contribute to passive cooling in the Common House. In some cases, groups don’t want to take the risk and put in a mini-split or similar, but I’m happy to report that many folks, like some in Fresno, California, say that they still haven’t used their air conditioning in ten years. A.C. is an increasing problem, but I love working with people who want to be at least part of the solution. Large efficient windows let light in without heating the space. If we can’t get cohousers to scale back their air conditioning usage then we’re toast! But my experience is that we can. It’s now time for a serious intervention, suggests a Harvard physician, and cohousing is cited as being an example of such an intervention—but more on that later. It is now proven that lonely people die more frequently from every other disease as well. Loneliness is strongly correlated with dementia, Alzheimer’s, and most obviously, depression. The stress and anxiety caused by loneliness produces anger, which in turn increase loneliness. One woman told me that her widowed grandfather shot himself “because no one came to visit.” It happens. Our need for connection is so hardwired that loneliness hurts just like a physical wound and has similar physiological properties to the pains of extreme hunger, thirst or injury and eventually people will medicate to ameliorate that loneliness wound, leading to other long-term issues. A teenager from Nevada City Cohousing once wrote, “I can’t imagine a coho teenager using drugs—they just don’t have any wholes in their heart.” Perhaps simplistic but important to pay attention to nonetheless. Everyone is lonely once in a while, but sustained loneliness puts people on edge and overly vigilant about being judged or rejected, which actually sabotages their ability to connect. I’m going to argue that some people are proactive and don’t wait for symptoms—they set themselves up for success earlier in life. 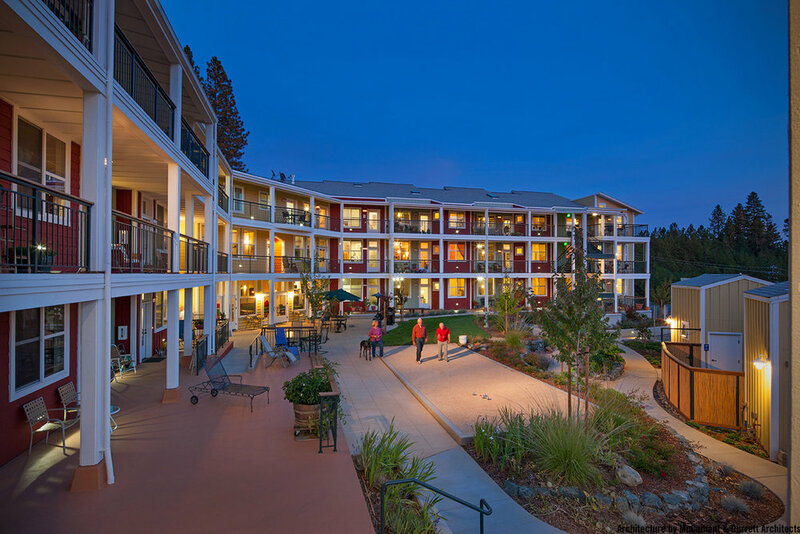 Some folks actually believe that they will never get lonely and that may or may not be true—people even get lonely in cohousing—just not for sustained periods of time. Then there’s the fact that a higher percentage of Americans are living alone than ever before. For the first time in American history more women over 18 are living without a husband, than with a husband. Among other things our ability to listen and empathize with others diminishes which will end up making you even more alone. If there is anything that teaches you to listen and learn, it’s living in community. A lot of people look at a home’s closets and kitchen, but the key question is where do neighbors gather to discuss the issues of the day. That’s a much more important quality of life question. 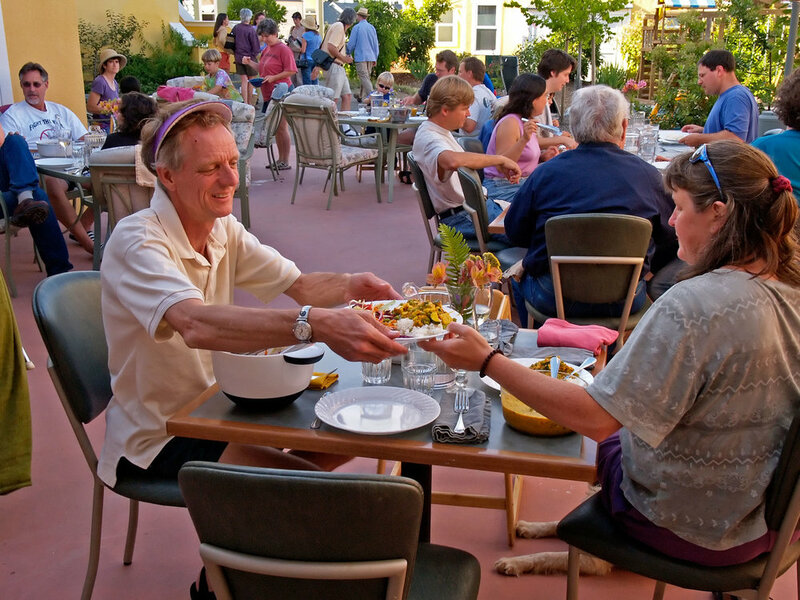 That’s where cohousing comes in—meaningful sustained contact makes quality of life a lot easier. That’s why just visiting a nursing home doesn’t mitigate loneliness. The bonds that come from being your authentic self with others takes time and is also what I believe cohousing is particularly good at. It seems that the best we can do is to create community. “We need communities that deliberately foster close social bonds. 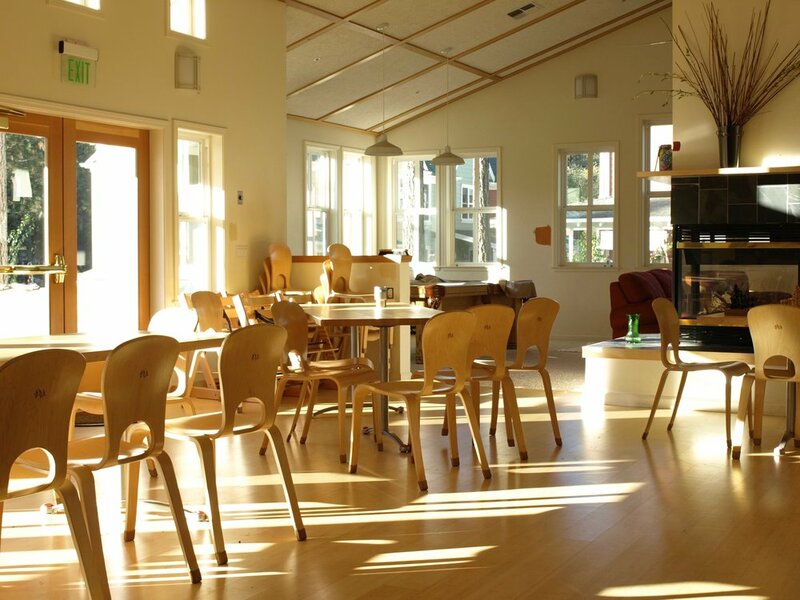 There’s a growing cohousing movement in which residents share chores and tend to common spaces together… There are about 700 in Denmark (population 5 million) and 160 in the U.S. (population 350 million) and more are being built,” – Psychology Today. Just getting together with individuals on occasion is not enough. Sardinians live three decades longer than Americans. Why? Connection. The key to mitigating loneliness is reciprocity—I’ll make dinner on Monday, you make dinner on Friday—that’s cohousing—and fosters deep meaningful relationships. Finally—how did we get here? Social media has played a role—but moving around a bigger role. What has Congress done—passed legislation to continue to make hearing aids more accessible—probably a good idea. Loneliness is not a chronic disease, it can be cured, but like most diseases, the longer it goes untreated the harder it is to cure—then it can become chronic. Next steps—make more community.